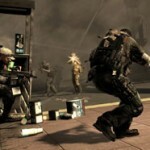 “SOCOM 4: U.S. Navy SEALs” multiplayer beta is now available for download from the PlayStation Store. The 32-person squad-based multiplayer features two new maps – “Assault & Battery” and “Port Authority.” A feature called “Uplink” allows you to steal data and bring it back to your base. Another addition called “Bomb Squad” has your character defending your bomb technician. ‘SOCOM 4’ features weapons and MODs that you can unlock when you reach higher levels. If you want to go Classic, the game is playable with increased movement speed, no respawn, and no health regeneration. ‘SOCOM 4: U.S. Navy SEALs’ is also compatible with the PlayStation Move motion controller and sharp shooter. 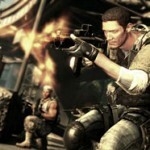 The open beta will run from April 5 to 13, 2011. ‘SOCOM 4’ is rated “M” for blood, strong language, and violence. The Full Deployment Edition will hit shelves April 19, 2011.